Congrats to all the futures Doctors graduating! When my imagination comes to life!My quick sketch when the client described what they wanted on the right and final product on left. One cake down one more to go!! 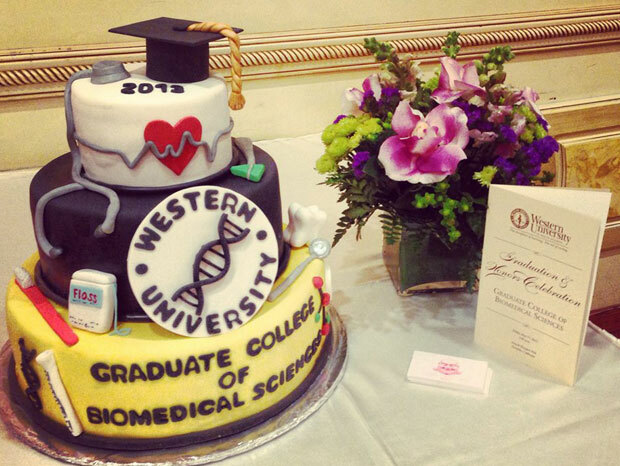 A big Thank You to Western University for allowing me to make their 2013 Commencement Cake for the Pomona campus! Congrats to all the futures Doctors graduating!